Calcium and Vitamin D are well known for the important role they play in building strong bones. The skeleton is our body’s major storage bank for calcium, and Vitamin D helps our bodies effectively absorb calcium from our diets. Weight-bearing physical activity can slow bone loss in older people. Maintaining muscle mass also preserves and strengthens surrounding bone and helps prevent falls. Weight-bearing describes any activity you do on your feet that works your bones and muscles against gravity. Regular weight-bearing exercises — such as brisk walking, jogging, or team sports — turns on your body’s bone-forming cells and helps bones become stronger. 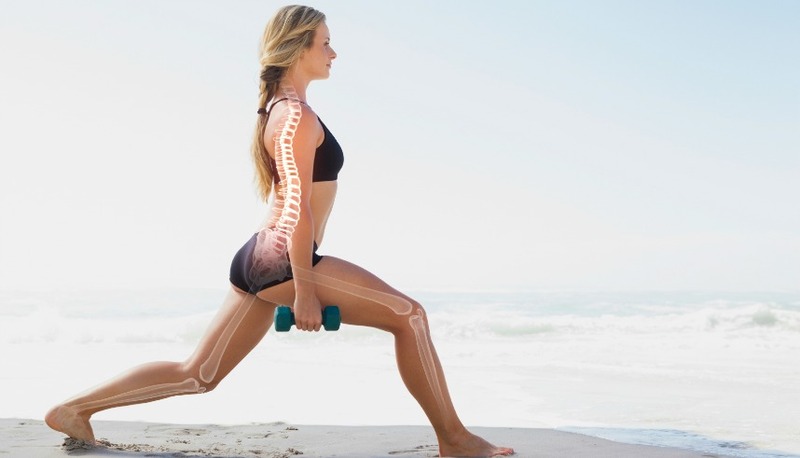 Tips for Healthy Bones.Each year, approximately 1.5 million older Americans suffer fractures because of weak bones, leading to temporary or permanent disability, and even death. Understand your individual risk for fracture.This is based on any risk factors you have for fracture and your bone density. Ask your doctor if you need a bone density test. Understand your individual risk for bone loss. Reduce your risk of falling. There are many changes your can make in your home to help prevent a fall. Remove obstacles and add safety features such as grab bars and non-slip mats where needed.